In the double degree with the University of Göttingen, Germany, you will obtain specialised knowledge of international markets and the global interconnections between national economies. What are the consequences of globalisation for the socioeconomic and institutional differences between countries and what roles do multinational companies play in this respect? You will learn to apply the tools of modern economic analysis to issues of development policy and to communicate effectively with researchers, policymakers and practitioners on development issues. In Göttingen, you will benefit from the expertise of researchers regarding microeconomic aspects of development. And you will be trained in applying quantitative research methods that are specifically suitable to study these aspects in a systematic way. The Groningen component of the programme is more focused on macroeconomic and international aspects of development and links these to international business perspectives. The components in Göttingen and Groningen taken together, therefore, train graduates with a strong international profile and a deep analytical understanding of global economic policy and business organisations. This master focuses relatively strongly on economic development of low-income countries and a more microeconomic perspective on inequality, poverty and growth. Unique combination of two master degrees, in Groningen and Göttingen, in which you will learn to apply the tools of modern economic analysis to specific issues of development in a globalizing world. The programme is internationally accredited, ensuring a high quality education that meets both the AACSB and EQUIS standards, which only one percent of universities in the world attain. You spend semester 1 and semester 2 in the MA programme International Economics (specialisation Development Economics) at Georg August Universität Göttingen in Germany, taking 24 EC of compulsory courses, 24-30 EC of specialisation courses and 6-12 EC of electives. An important strength of Georg August University is its research program on poverty, inequality and growth. The strength of this research programme is clearly reflected in the quality of teaching in the field of micro-economic development studies. During the semesters 3 and 4 you study in the MSc Economic Development and Globalization (formerly known as MSc International Economics and Business) at University of Groningen. You will take 40 EC of courses and complete a 20 EC Master's thesis project. 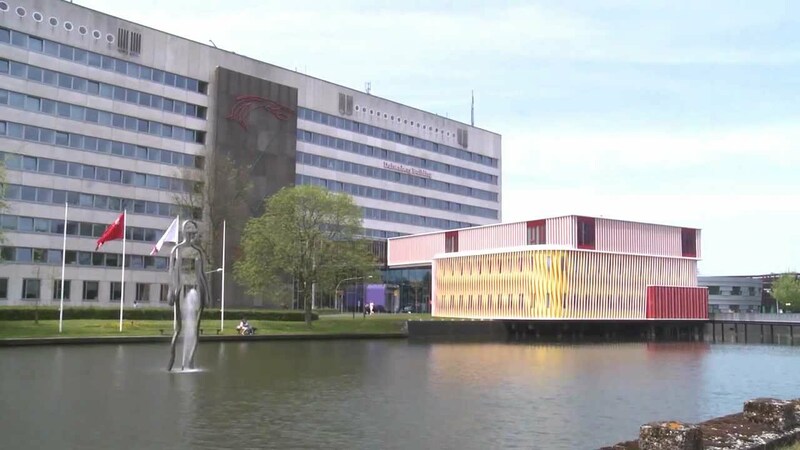 The University of Groningen is well-known for the quality of research and teaching regarding macro-oriented studies of growth, trade and structural change. This macro perspective complements the in-depth knowledge of micro-economic aspects of these fields you will acquire in year 1 in Göttingen. Next to the two degree certificates, graduates will receive two diploma supplements, which will mention that the respective degrees are awarded within the framework of the double degree programme in Göttingen and Groningen. Our double degree partner is Georg-August-Universität of Göttingen, Germany, a university with a long tradition. It has hosted several world-famous scientists, such as Albert Einstein, Carl Friedrich Gauss and Niels Bohr. The courses in Göttingen and Groningen share a strong focus on empirical methods and approaches. As a consequence, graduates of this Double Degree master are fully equipped for a career in in national, international, multinational or transnational institutions and enterprises. Because all our programmes are EQUIS and AACSB accredited, a standard which only one percent of universities reach worldwide, your degree will be highly valued on the labour market. *international economist or strategy expert in a multinational corporation. Marcel Timmer focuses on international production fragmentation in global value chains and its impact on labor markets and economic growth. He has published in the economic profession’s top journals, including the American Economic Review, and he has conducted extensive grant research, funded by the NWO and the European Commission. Steven Brakman is an expert in the field of economic geography, including as co-editor of the Journal of Regional Science. He frequently contributes to the public debate, including on Brexit, Trump’s trade war and trade agreements. He has published extensively and authored textbooks on international economics and economic geography. Dirk Bezemer studies the interaction between the financial system and the rest of the economy, focusing on the role of debt. His research is published in numerous journals and he has been funded by the Institute of New Economic Thinking. He is also a columnist in the Dutch periodical De Groene Amsterdammer. Bart Los’ area of expertise is on the interlinked nature of (regional) economies and the impact of such linkages on trade patterns and economic outcomes, such as economic growth and employment. He has published widely, is the editor of Economic Systems Research and has contributed to the public debate on the consequences of Brexit. Robert Inklaar’s research is on the causes and consequences of productivity growth, including the impact on broader welfare. His research has appeared in a range of top economic journals and his work on developing the Penn World Table and Maddison Project Database is used extensively around the world. Erik Dietzenbacher is an authority in the field of input-output analysis, including as president of the International Input-Output Association. His research has improved the tools for input-output analysis and these have been applied in such areas as international trade and environmental economics. Harry Garretsen combines research in international economics with research on management and leadership. In this latter role, he is one of the directors of the In the LEAD centre of expertise. He is also a sought-after expert, including on the Bankraad, the advisory board of the Dutch Central Bank. "The double degree is a very inspiring programme, where students receive a high-quality education, are challenged to critically assess theories and take different stands on certain issues." "I chose the International Development Economics double degree because it offered broad fundamentals in the academic fields of international economics, international business and development. The combination of the University of Groningen and the Georg-August Universität in Germany has given me a general knowledge of international economics and allowed me to specialize in developmental issues. My biggest wish is to work for an organization that promotes development in developing countries such as the United Nations or the World Bank. However, I first want to gain some experience in the commercial sector. This is why I applied for an internship at Heineken in the Democratic Republic of Congo, which I will start in September. The double degree is a very inspiring programme, where students receive a high-quality education, are challenged to critically assess theories and take different stands on certain issues. I would definitely choose this programme again as it has provided me with useful fundamentals, not only in light of a future career, but also for my personal development."